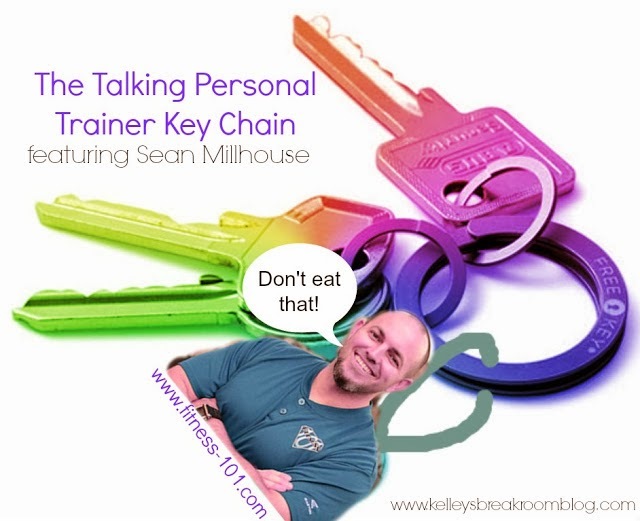 Since my blogging partnership with Fitness 101 is almost coming to an end, I thought it would be a good idea to list some of the key things I’ve learned from it and tell you a little bit more about my personal trainer, Sean Millhouse. There have been many things that Sean has written on his Fitness 101 blog or in his weekly newsletter, as well as things that he has said, that have caused to me stop and make that “Is that right?” face. I thought if I made that face, maybe you’d make that face. This picture was used in a previous post of mine. Seriously, I think this would be an awesome idea. If I had Sean chirping “Don’t eat that!” or “Pile on more vegetables!” or “Go work out!” or “Do your lunges!” from my deep inside my purse every now and then, I’d be on better fitness behavior, I just know it! 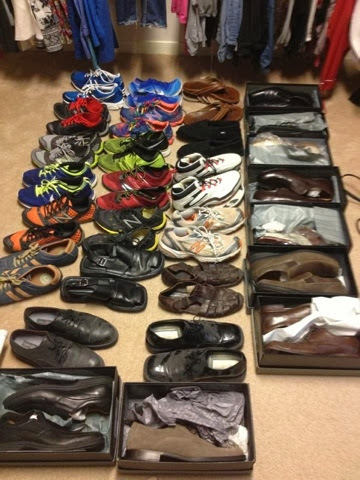 #1 Personal trainers have lots of shoes. I’m going to go ahead and generalize here. If I were a personal trainer and wore running shoes every day, I’d probably have a few different kinds. I’m not sure I’d have as many as Sean has, though. That’s a lot of shoes. #2 You shouldn’t eat starches after 4 p.m. Starches will turn into unwanted body fat if you don’t use them. So, let’s get specific: no white rice, bread, cornmeal, potatoes, cereal, tortilla chips (there goes my Friday night! ), macaroni (there goes my kids’ Friday night! ), spaghetti… I think you are getting the picture. #3 Crunches aren’t the main way to six-pack abs. You won’t get those abs unless you do cardio. The place where you first gain will be the place you last lose. Bummer, right?? You can read more about other myths here. #5 Let your food settle for 10 minutes before getting seconds. It will be hard to tell me that when I’m staring at a green bean casserole, but this makes complete sense. Food takes time to digest. Sorry for the visual of digesting food, but we all do it. We all digest! Digest. Digest. Digest. Ew, right? #6 Eat a half plate of vegetables with each meal. (Green bean casserole doesn’t count.) Obviously, vegetables have a lower calorie count, so your calories will be less if you are shoving in broccoli over macaroni and cheese. #9 Exercising can be fun. I know. Roll your eyes. I have brought this up before, but when I am doing whatever it is that he has me doing, the time goes by fast. When I have taken part in the boot camps, while I’m breathing hard and struggling to finish, I am having fun. I have never regretted making the decision to exercise that day. Exercising can also be funny. One of my most popular posts from this series of mine is “Funny Things Women Say To Their Personal Trainers”. You must take a look at that video and post, especially if you like to laugh out loud! #10 I can do this thing. You can do this thing. I think what Sean has taught me more than anything is that I can do this thing. I can get in better shape. I can have tighter abs and thighs and arms. That body that I have always wanted can be mine. I’m not where I want to be exactly just yet (I just ate a coconut macaroon), but I am definitely closer than I have been in years and years. If Sean hadn’t been coaching me along the way, I would have never lifted the weights I lift above my head. There is no doubt that I would have chosen lighter ones to lift. I would not have done as many reps. I wouldn’t have done one extra set. He has been an amazing coach and encourager. I owe him so much!! If I can get ‘er done, you most definitely can. While it would be awesome if you had Sean (if you are nearby) or someone like Sean, you can still get on that road to fitness and improve the way you look, act and feel! If you are in the Spring/Klein/Tomball area, you can e-mail Sean at sean@fitness-101.com to get more details. He will be more than happy to help you out. There are so many boot camp classes going on that you can jump right into and they are appropriate for all fitness level types. He can give you more details on personal training. If you aren’t sure about a boot camp, you can try a month out with this Living Social deal. I really, really have learned so much more, but this post would never end if I kept going! 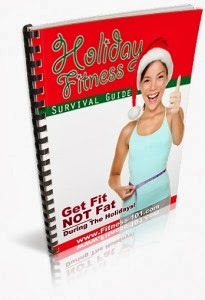 Sean has PACKED lots of great tips on his Holiday Survival Guide, which you can find HERE. I seriously think he is just an never-ending supply of good health advice. I can definitely see the advantages of having a personal trainer. It’s like having a talking health magazine showing and telling you what to do. He has told me to do exercises before that I have seen in fitness magazines, but do you think I have done them? It helps so much having him standing there and showing me how to do them right. 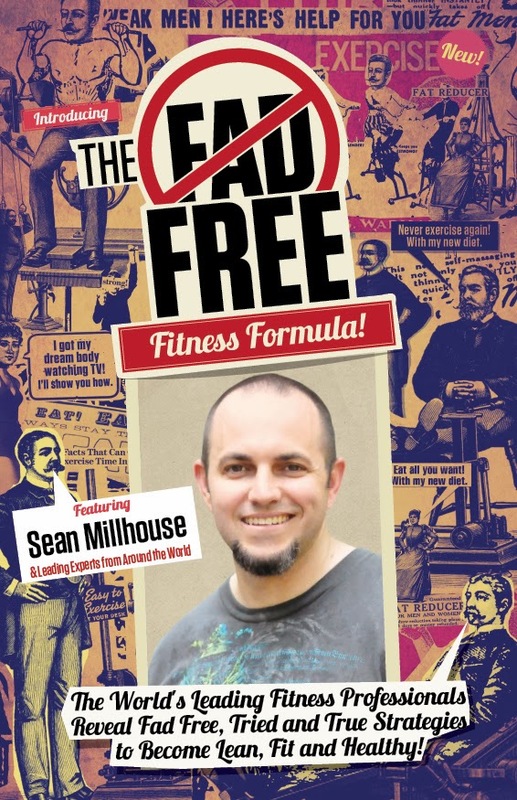 He also has a lot of really awesome advice in his book, The Fad Free Fitness Formula, which he co-wrote. Today I am giving away e-books. If you are interested in being one of the 10 that receive a copy of it, please let me know in the comments section below. All I ask is that you be a fan of the Kelley’s Break Room Facebook page AND the Fitness 101 Facebook page. I will pick the 10 by this Friday the 20th. I will send it to you the same day! If you want to get a hard copy of the book, you can order it here. It really, really is awesome and easy-to-read. Last thing… I didn’t learn this because I knew it already, but Sean is a really awesome dad and has a super sweet and fun wife named Jen. Their youngest son is named Jackson and he is in a “cute kid contest” for Houston Family Magazine. 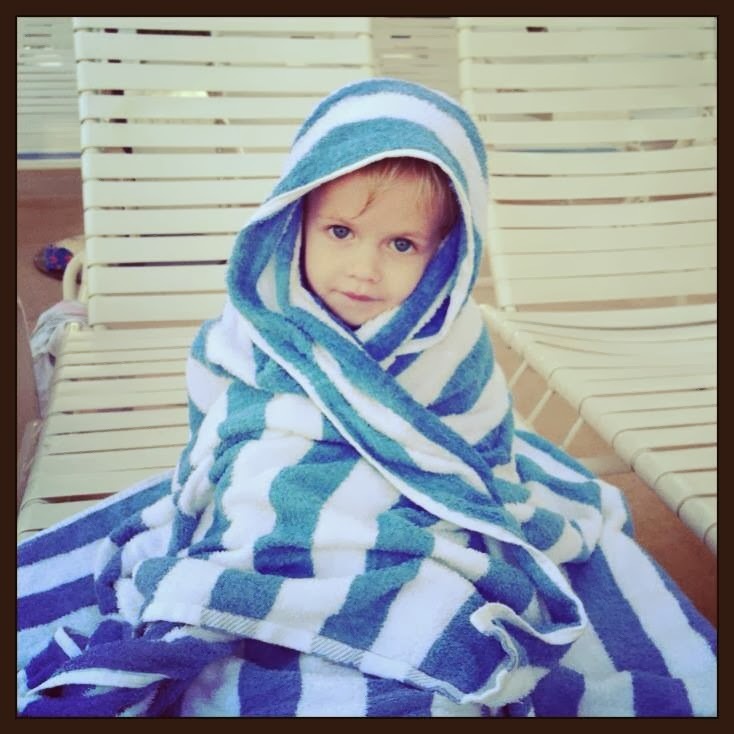 If you agree that his son is absolutely precious in the picture below, pretty please click the link below his picture and go give him a like! I would love, love to give this little gift to Sean and Jen. Helping to boost his son’s likes when Sean has helped me so much would be so very awesome. Thank you!! Click HERE to “like” this sweet picture on Facebook! Thanks again for following me on this journey! Leave that comment here (or on my Facebook page), if you are interested in being one of the 10 to receive Sean’s e-book!